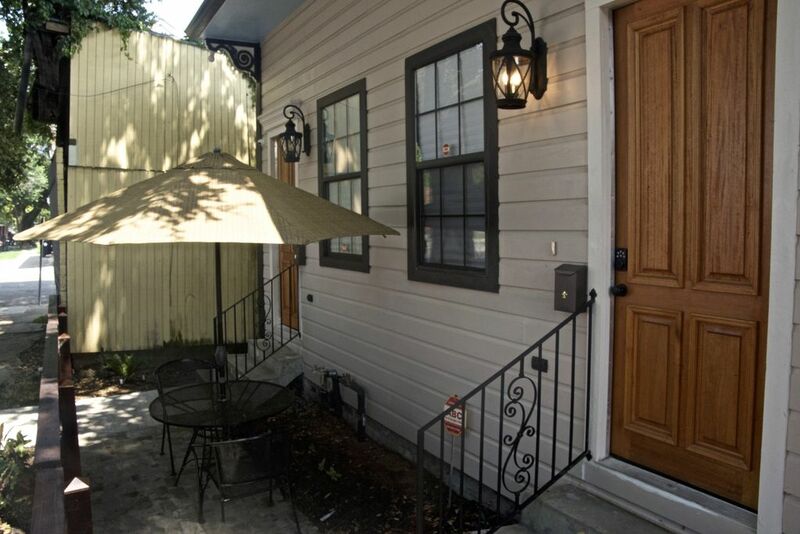 This newly renovated property is located uptown New Orleans, it comes with a living room and fully equipped kitchen. Relax outdoors in the landscaped courtyard. The property is 15 miles from the Louis Armstrong International Airport and 2 miles to downtown. The St. Charles street car is 3 blocks away and the Lafayette cemetery is 5 blocks away. It has flat screen tv, coffeemaker, microwave and toaster. Walking distance from St. Charles Ave. which is filled with attractions. Mr. Dillard was a great host and very responsive to messages. We had a group of people coming in from all over the United States and he was great in allowing for us to check in early and allowing us to stay a little longer due to late flights. The house itself is very up to date and modern and was perfect for what we were looking for. A lot of beds to sleep in and a great hang out area. I highly recommend using this location if you are visiting NOLA. The stay was amazing the property was beautiful and Mr.Joe and his wife was wonderful too us. I highly recommend this place and we will stay here again. A group of 8 of stay comfortably, so made our trip great. Thanks so much!!! This newly renovated property was perfect for our family of 12 birthday celebration to New Orleans. Everyone had a bed to sleep in and walking distance to trolly and easy ride share for those not comfortable with the short 3 block walk to it. Would definitely stay here again. Owner very helpful. When 1st arrived was worried about the area but it turned out to work greatly. Only issue had was another group had arrived prior to us and they had put them in the unit we rented so had to wait for them to be moved before we could get in. House was great when got in. Worked great of us. Plenty of room. Would recommend more seating be added in the living room instead of just the one big couch.